Hello, everyone! I hope you had a great Mother's Day weekend. I am so excited to share the latest giveaway that is co-hosted by me along with 8 other fabulous bloggers. 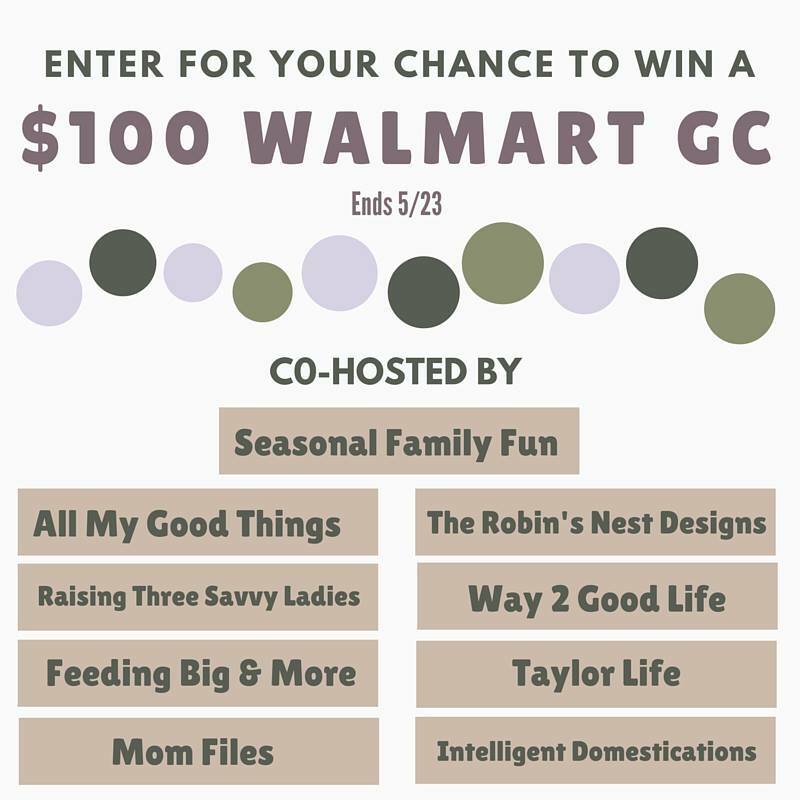 You can enter for the chance to win a $100 Walmart gift card. Think about how much you can do with this prize. Maybe you want to spruce up your garden, bathroom or kitchen? Perhaps simply stock up on groceries and household items. Think of all the fun possibilities! Enter below and good luck! 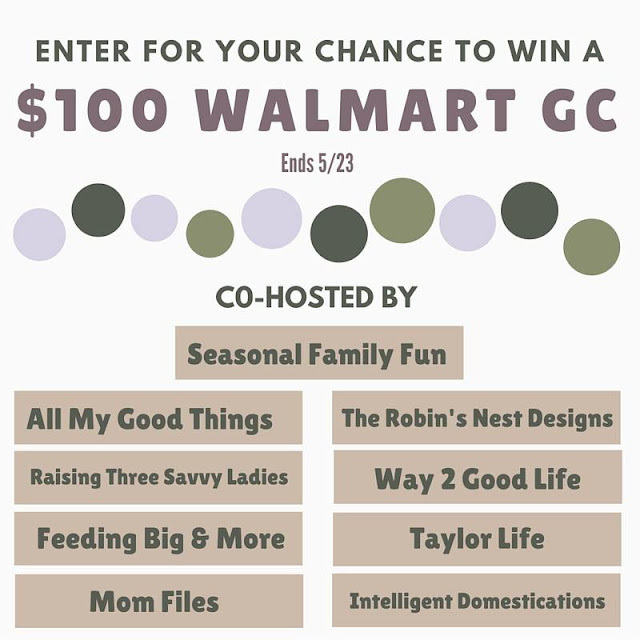 Leave me a comment telling me how you would spend the Walmart gift card if you are the lucky winner. This giveaway starts May 10 at 12:00 AM EST and ends May 23 at 11:59 PM EST. USA, 18+. One winner will be randomly selected from all qualifying entries and contacted via the email they provide. The winner has 48 hours to respond. The winner will be announced after they have responded. I would do some stock-up shopping! I would use the gift card to stock up on the organic brand of food by Walmart such as ketchup. I am looking for an iPad. Never had one. Thank you for the chance to buy one without hurting my budget. *****Two of the entry "Follow Loryr on Pininterest" and "Follow the Robon's Nest Designs on Instagram" came up with err messages. Both had same type, did not compare as err code was long. I would get Summer blankets and dishes! I would get groceries and things I need in the home since lifes been super rough at the moment with the job and kids and such. I would create my dream outdoor bar n grill kitchen. I would stock up on Kotex! !